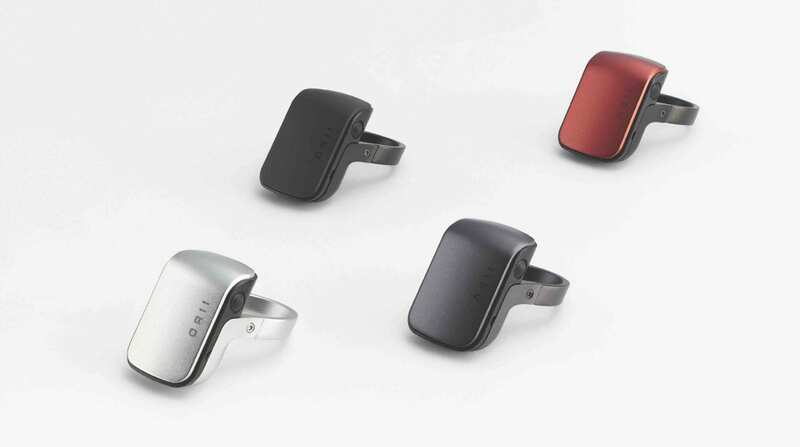 ORII is a smart ring that allows you to quickly send and receive audio messages or calls. What’s exciting about the device is that you’re able to hear the audio by gently pressing on your tragus–situated in front of the opening the ear canal–with the finger that’s wearing the ring. The device first launched on crowdfunding platforms Indiegogo and Kickstarter, and raised US$333,617 on the latter with over 2,000 backers. I’ve been curious about ORII since first coming across it more than a year ago, attracted to the idea of being able to use my phone without always fumbling to pull it out of my pocket when it’s ringing. ORII is best suited for those who often get voice messages or quick calls on-the-go. I can see it being especially useful for someone who needs to be available at all times, but doesn’t want to constantly be wearing headphones or bulkier hands-free devices. It can be used for voice assistants as well. Before turning on the device, you have to determine the appropriate ring attachment for the size of your finger; a snug fit ensures there’s no sound leakage. A small screwdriver is included, so everything can be easily assembled on the spot. The device vibrates when you receive an incoming call, so you won’t miss it even if your phone is tucked inside a bag or set on silent mode. You can also customize notification colors using the app. The ring is best suited for a brief voice message or a snappy “yes” or “no” conversation because, while you can hear the other party during a call, I found the sound to be a bit muffled, as if the person is speaking from a distance. At times, it was also difficult for the other party to hear me. It takes some trial and error. I think these issues go back to the device’s intent, which is to give speedy access to your phone’s audio and voice functions, rather than to have long conversations. The audio quality doesn’t take away from the fact ORII is an interesting technology and has great potential in the world of wearables.